The beaver tattoo is a symbol of diligence and skill, the ability to overcome difficult trials in life and be able to adapt to it. Also the image of this animal is a reflection of diligence and a sense of solidarity. The reason for this lies in his natural instincts. The beaver is a builder and an example of an ideal family man. The beaver tattoo, drawn with elements of building themes, personifies the ability to transform dreams and representations into competitive actions to achieve them. Tattoo, where a beaver with teeth, is used to express its second characteristic. His big teeth are a weapon that he is ready to use for defense. He guards the home created by himself, is always on a check to protect the family from dangers. 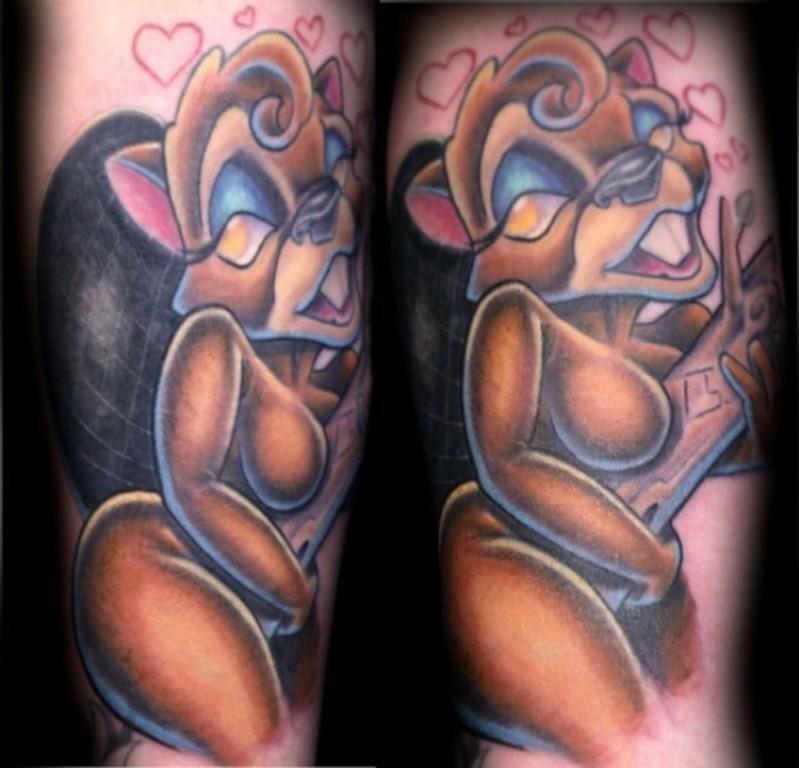 Therefore, such a performance of a beaver tattoo characterizes a person as a responsible family man. Another natural principle of life of the beaver can underlie the tattoo. Buildings of the beaver always have several exits, giving these animals many opportunities to avoid dangers. For people who live by the principle: «If one door is closed, the other one must be open», the tattoo on which the beaver is depicted will only emphasize their life credo. It should be added that Christianity in the image of this animal has invested a symbol of peace, asceticism and chastity.